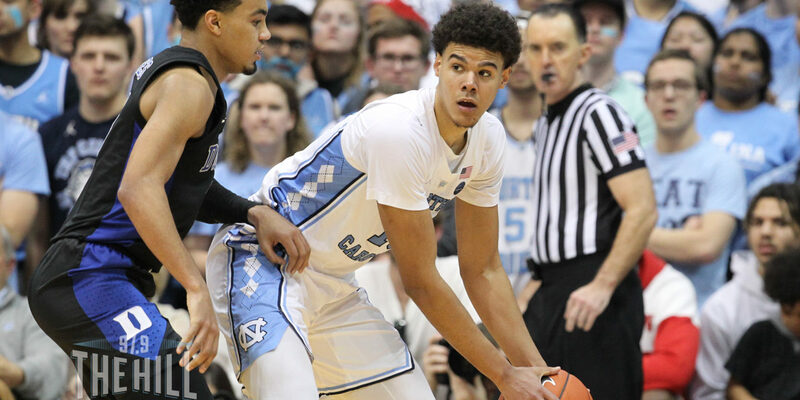 The Associated Press has released its All-ACC teams with UNC senior Cam Johnson picked as a First Team selection. In his final year of eligibility, Johnson averaged a team-high 16.8 points this season while also leading the ACC with a 46.9 percent shooting percentage from three-point range. Johnson was also selected to the First Team in the ACC’s own postseason honors yesterday. Joining Johnson on the First Team were Dukes’s Zion Williamson and RJ Barrett, Virginia’s De’Andre Hunter and Ty Jerome, and Boston College’s Ky Bowman. Williamson and Barrett were the only unanimous selections. In addition, Luke Maye and Coby White were selected to the Second Team by the Associated Press. Maye posted averages of 14.6 points and 10.5 rebounds per outing, with White scoring 16.3 points and dishing out 4.1 assists per game in his freshman season on campus. Tony Bennett was the Associated Press’ selection for ACC Coach of the Year after leading Virginia to a No. 1 national ranking as well as the No. 1 seed in the ACC Tournament. Duke’s Williamson was the selection for Player and Rookie of the Year despite missing time in the second half of the season after an injury in Duke’s first game against UNC.